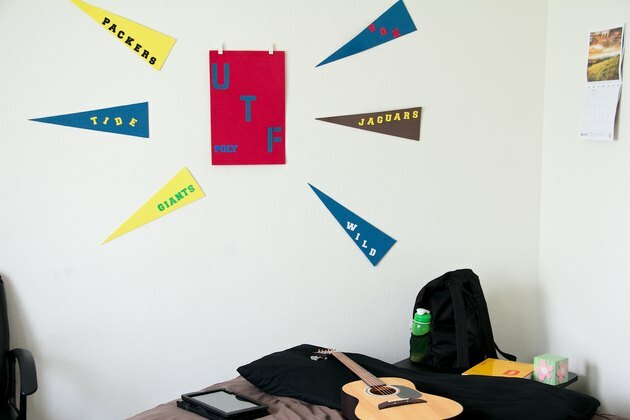 Hanging a college flag in your dorm is a way to show off your team spirit, but only if you follow your school's regulations for dorm decor. You may not be allowed to use nails, tacks and clear tape to hang your favorite finds, but some of these may not work anyway if the walls are brick or block. 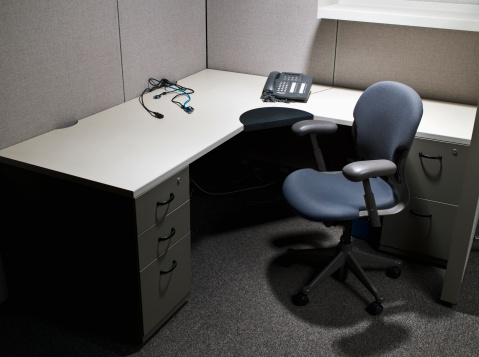 When it's time to move on, use temporary hanging solutions that leave no marks to ensure the wall looks just as it did before you moved in. Hold the flag up in the desired location or enlist a friend to do so, so you can view it from across the room. Adjust the flag so it hangs at the desired level, at least a foot from nearby doors and heaters. Consult your student handbook, as your school may have specific requirements for such measurements. Measure the distance from one top edge of the flag to the ceiling with a tape measure. Slide the tape measure over to the other top edge of the flag to adjust it so it is visually parallel with the ceiling. If the flag is triangular like an old-style pennant, measure the distance from the straight side edges to a nearby straight object, such as window trim or the edge of the wall, adjusting the top and bottom of the flag as necessary. Place small strips of painter's tape on the wall just above the left and right top edge of the flag or along the top and bottom edge for a pennant hung with the straight edge on the left. The tape serves as temporary markers for the removable adhesive and will not damage the wall. Apply a small amount of rubbing alcohol to a paper towel -- enough to make it damp but not soaking wet. 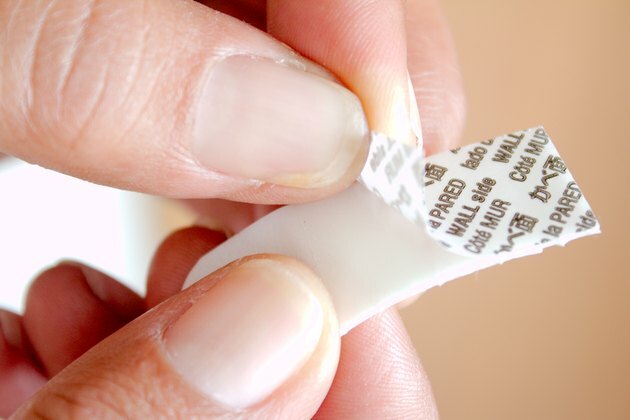 Wipe the wall around the tape strips with the alcohol to make the removable adhesive stick better. Allow the alcohol to dry completely. Remove the backing liner on the wall portion of the spring clip. 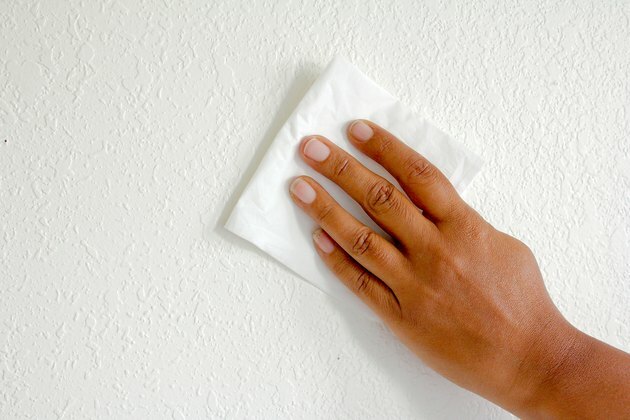 Apply the sticky side to the wall in the desired location, pressing firmly for 30 seconds. Consult the package to determine which side goes on the wall, as it may vary based on color. Repeat the process with the spring clip for the other side of the flag. Remove the adhesive liner on the front of the strip on the wall. 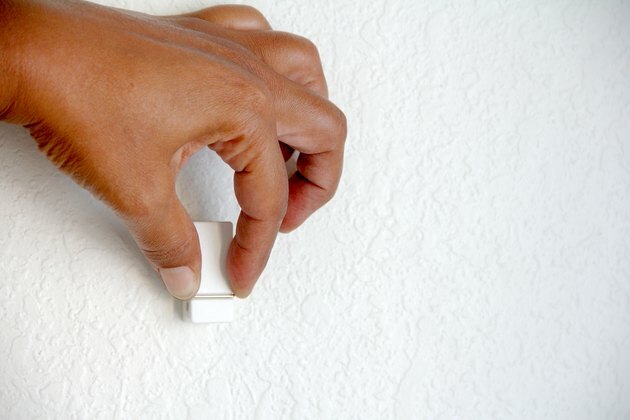 Press the spring clip onto the strip, ensuring the tab at the bottom of the wall portion is not covered completely; access to the tab is necessary for removing the strip. Repeat the process with the spring clip for the other side of the flag. If the flag is large, add several more clips between the first two. Hold up the top edge of the flag and clip it into each of the clips by opening a clip, sliding the flag in, then releasing the clip.